First thing I am going to say is that this is an important read as it gives the reader an in depth and sensitive look into mental health. This is not the type of book I normally pick up but as soon as I heard it was about self harm I was interested. I have been dealing with self harm since I was 13 (I’m 22) so I was interested to read it as I think it is so important to talk about it. As I mentioned this was not entirely my thing but I think a lot of people are going to love this – there are a ton of 5 star reviews on Goodreads. I thought the topic of self harm and mental health in general was done very well – it was sensitively done and it really showcases the mindset of someone who self harms. In this way I think it is an important read as it can really open your eyes to this issue. However I will say if you are struggling with self harm, then this book may be very triggering for you. This is not an easy read – it is raw and quite dark. The themes and issues talked about in this book are important ones to talk about and for that I think this book is great, but some of the execution of the story didn’t work for my personal taste in books. The narration style wasn’t really my thing – it is written in diary like fragments, some of which are very short. I think it worked well for the story but it didn’t quite work for me. For me, it felt a bit jarring and I had trouble feeling any connection to the characters. I also found that it was too ‘romance’ based or too ‘boy’ based – Part 1 was the best bit in my opinion because it wasn’t so focused on the romance/boy. After part 1 all she does is obsess over boys – whether it’s the boy from her past or the new one, it is all she seems to think about. Her mental health and recovery seemed to take the backseat a bit so the romance could be the focus, at least for me they did. I found the toxic relationship really hard to read and the main character just seemed to continue to make all the wrong decisions. To be honest, this book also makes me think there is such a thing as too depressing. I went into this book with the expectation of a book about self harm but there are so many other things going on (suicide, drugs, alcohol, grief/loss, living on the streets, sexual abuse, abuse, parental neglect etc.) it just felt kind of heavy handed. I am not naive: I know a lot of bad things happen but to me it just seemed a bit over the top. There was just too much going on. In my opinion it would have worked better if it was just focused on one issue. Due to all of these things, the ending felt too easy for me. Everything just seems to work out and I found that after all of the struggles it seemed too quick and easy. Overall I liked that her journey to recovery was very much centred around her – there is definitely a theme of self discovery in this book. I liked that it wasn’t a case of a boy coming into her life and ‘fixing’ her. In my opinion it was perhaps a bit too lengthy. 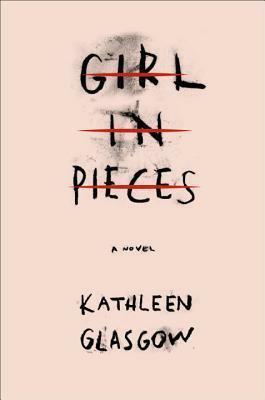 Despite all of that, I think the author did a great job of depicting mental illness and self harm. Overall I think this is a very important book to read and I think a lot of people will love this, but it wasn’t quite my thing. It is not that I did not like it, it is simply that it is not completely to my tastes as a reader. Going by the Goodreads review, I am very much in the minority – a lot of people are loving this book. I applaud the author for writing about self harm, especially as the author’s note suggest how close to home it is for her as well. As someone who has self harmed and continues to struggle with it, I completely understand the shame that is felt due to the stigma of it. So although this wasn’t my thing I would still very much recommend this book as it is so important to talk about these things. Don’t expect an easy read though. Let me know if you have read it and what you thought of it in the comments. I hope you are all having a wonderful day and I will see you next time.